Find a Top Rated PSAT Near You! It's Simple and Secure - Get Real Results Fast. Find Expert Private Tutors at Reasonable Rates Today! Looking for some PSAT tips and tricks to ace the PSAT this year? The Preliminary Scholastic Aptitude Test, or PSAT, is usually taken in your freshman or sophomore year and while it doesn’t have any impact on your college applications, developing some of the best PSAT tips to help develop your confidence and improve your test results. The most important thing about the PSAT is that it is used for many scholarship applications, including the National Merit Scholarship. However, beyond that, the main reason to take the PSAT is to better prepare yourself for the SAT test that is looming on the horizon. The PSAT underwent re-structuring in 2015 and is now a longer test, requiring 2 hours and 45 minutes to complete. The number of questions on each section are fairly evenly distributed, but the time allocated to each section varies. The bulk of your time is spent on reading and math, and just 35 minutes spent on writing and language. Now with this information you can adequately prepare for each section and adjust your study schedule based on your personal strengths and weaknesses. Now, if you don’t know it by now (and you ought to) then listen carefully…..any test that you are going to take requires preparation. Do I need to repeat that? 😉 Good! So now let’s get into PSAT tips that can help you move the needle and increase that score! Be prepared – Yes, that means reading this, reviewing what the test is like, topics covered and determining your strengths and weaknesses prior to taking the test. Get help – whether that’s in a study group or working with someone that can help with PSAT prep, it’s going to make a difference in your results. Plus it will require you to take the time to prepare. Take a practice test – Before you start actual studying, take a full test so that you know where you stand at the outset. This will help with knowing your strengths and weaknesses before moving forward. Set goals – we all do better if we have goals and objectives that we’re working towards. Achievable goals of 20 – 30% better than when you first took the test isn’t unreasonable (assuming you aren’t trying to prep for the PSAT in three days…). When taking PSAT tests, make sure that you do it just like it would be done in the actual exam. There are several reasons for this. First, you get more comfortable with the test taking environment. Secondly, you’re results will be more on target with what you might actually do in the real exam. Review results – This is critical! With each test that you take, check and see where your results are improving and where you still might want to spend more time. As it gets closer to the actual date, increase the amount of time spent in areas where you are still weak. Prepare with SAT or PSAT books – Since there is less available resources for the PSAT as compared to the SAT, incorporate some of the questions and review using SAT questions and resources. The types of questions and information required will be very similar and can help you. To guess or not to guess – That has been the question for years! Now, guessing is better. There’s no longer any penalty for guessing on the PSAT exam. 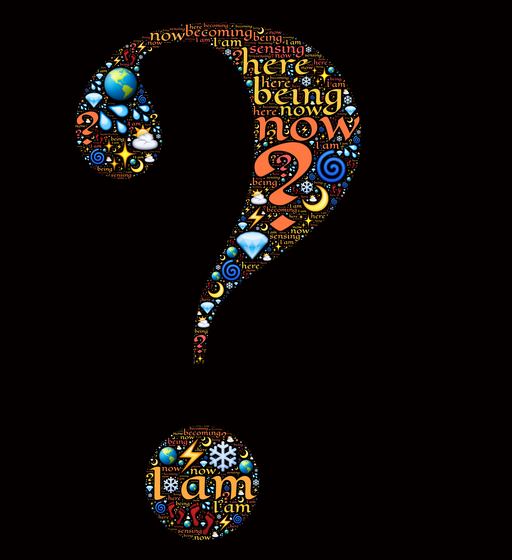 Unknown answers – Like we said above, guessing is better than blanks! One tip to help, if it’s a total guess, guess the same letter for every question if you really have no idea on any answer. This doesn’t mean if you are down to 2 answers to guess “D” if you think it might be “B” or “A”. But if you have no idea at all, choose one letter and every question that you find yourself in like that, always answer that letter. Statistically it will increase your chances of a few of those guessed answers being right. Spend time on question you can answer – If a question isn’t clear or you’ve got doubts, pick your default answer as we said in #9 and move on! Got time at the end? Come back to those that have default answers and see what you can do. But nothing is worse than getting to the end of a test and having several unanswered questions because you ran out of time. Eliminate obvious answers – Now, we kinda mentioned this above but let’s be super clear…cross out all wrong answers to see what’s left. You’ll be amazed how many questions you’ll then be able to answer. Read, read, read, read, read – If you like to read and practice reading you’re going to be ahead of many students. These tests require reading and the better, faster and more observant reader you are the better you’re going to do. Is that incentive enough to stop the video games and pick up a book? Review – take a little time and review basic grammar with a teacher or online. In addition, make sure to take a little time and review and memorize the basic math formulas that you’ve covered to date. Practice a few problems on your calculator so that there’s no struggle with it during the exam. Yes, you can do that! It’s just going to be an extremely concentrated review using the various tips we recommended above. Start? Begin by taking a PSAT prep test. That’s going to give you your basics and let you know where you stand. Next, determine what resources you’re going to use to prepare for the exam? You can find one of our PSAT tutors easily enough to help you cram and get tips that will make a difference or you can use review guides like these in the time you’ve got available. Allocate time no matter how many days you’ve got. Every little bit does count and will make a difference. Incorporate any and all of our tips above into your study time leading up to the exam. The more time, better focus you have, the better your results! Ok, we’ve come up with 13 PSAT Tips and Tricks to help you prepare for one of your first, of many, major test taking adventures. By starting off on this path well prepared, you’re setting yourself up for success not only on this test but on your future SAT test and other exams as well. So spend some time, sleep, eat and get some exercise and you just might blow by the score results that you set for yourself! We’ve seen it happen before.